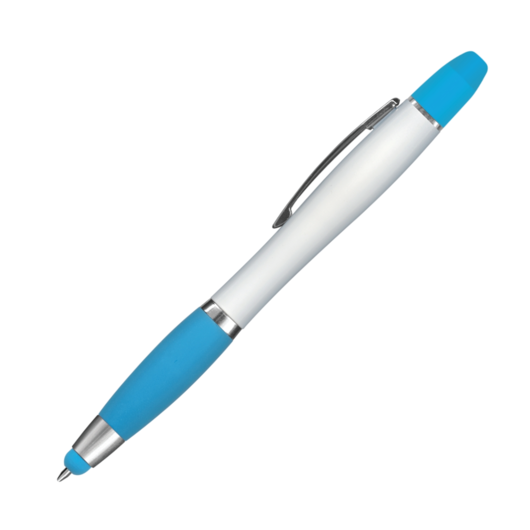 A white barreled multi function pen that catches the eye and looks stunning with printed branding. Tired of having to search high and low to find a highlighter or stylus? 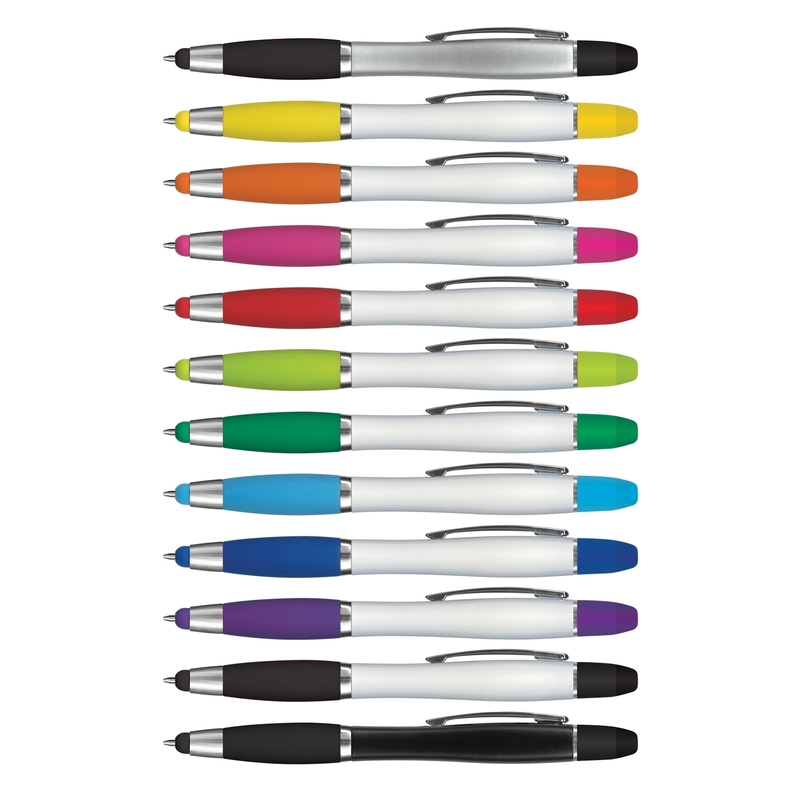 Well these innovative pens include a stylus, wax highlighter and pen all in one easy to use unit. 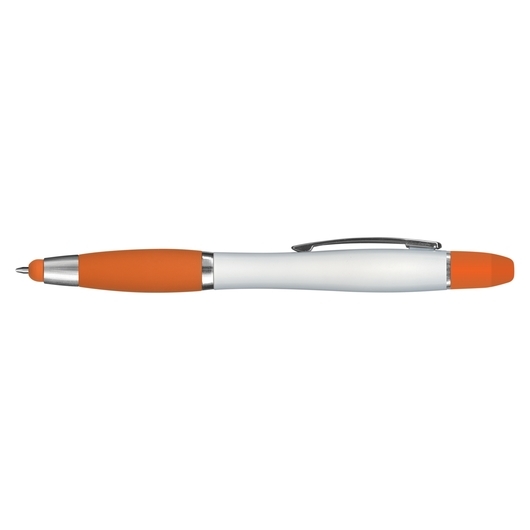 It's twist action with a white barrel, soft touch rubber lacquered grip and shiny chrome trim. It has a yellow wax highlighter which one dry up and 1200m of German made black ink as well as a tungsten carbide ball for improved writing quality.